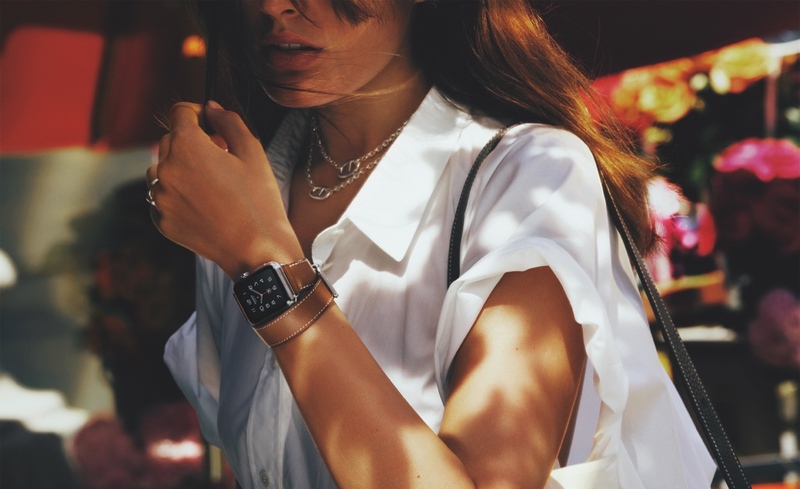 At today's September Event, Apple and Hermès introduced the Apple Watch Hermès, a new collection of stainless steel Apple Watch that combines finely crafted Hermès leather bands in distinctive styles, with the technical innovations and unique expression of the Apple Watch. Apple and Hermès make very different products, but they reflect the deep appreciation of quality design. Both companies are motivated by a sincere pursuit of excellence and the desire to create something that is not compromised. 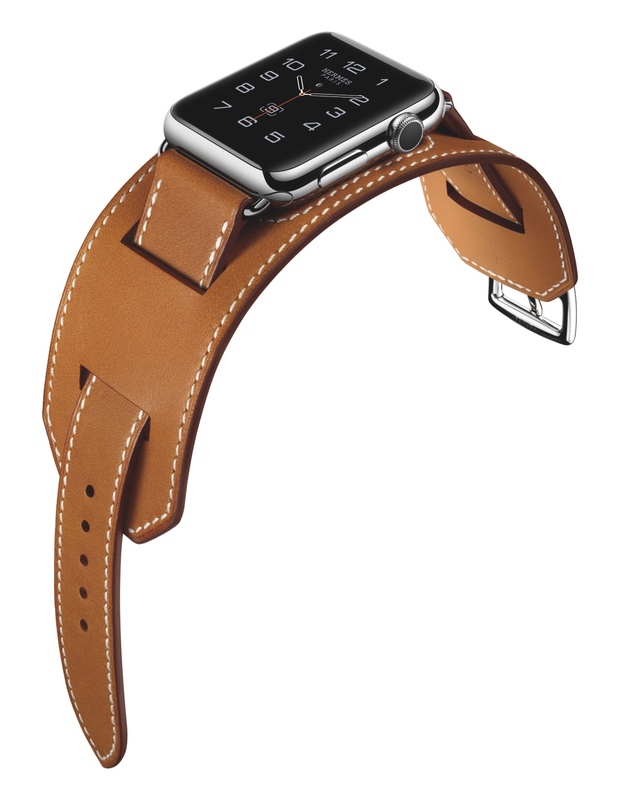 Apple Watch Hermès is a true testament to that belief. At Hermès, we strive to provide our clients with elegant, creative and functional objects for their everyday lives. What more contemporary and relevant expression of this principle could there be than this collaboration with Apple. We are strongly united by the same deeply held ideas and principles. I see it as the establishment of an alliance in excellence; like horse and carriage, a perfect team. The Apple Watch Hermès is available in a choice of three leather strap variations: a single leather loop (Single Tour), a double leather loop (Double Tour) and a leather cuff (Cuff). The user interface is designed with the distinctive Hermès font and designs inspired by the most iconic Hermès timepieces. The Single Tour with the 38mm stainless steel case comes in fauve Barenia leather, noir box leather and capucine Swift leather. 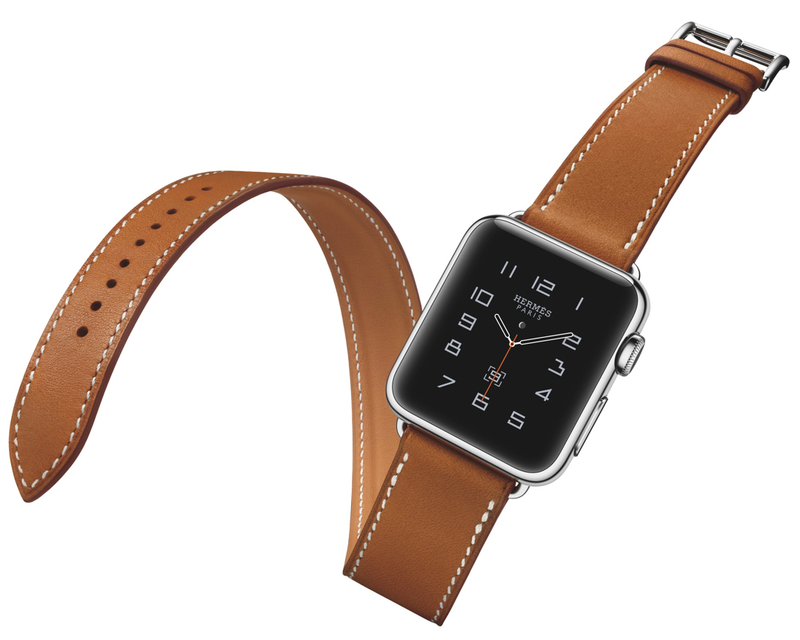 The Apple Watch Hermès starts at $1,100 for the 38 mm stainless steel case with the Single Tour. The Single Tour with 42 mm stainless steel case is priced at $1,150 and is fitted with a fauve Barenia leather strap and noir box leather. The Double Tour pairs with the 38 mm stainless steel case and is available in fauve Barenia leather and bleu jean, capucine and etain Swift leather. Price for the Double Tour is $1,250. The Cuff pairs with the 42 mm stainless steel case and is available in fauve Barenia leather only. Price of the Cuff is $1,500. Across the collection, each stainless steel case features an etching of the Hermès signature and includes a customizable face with three exclusive dial designs inspired by Clipper, Cape Cod and Espace Hermès watches. The Apple Watch Hermès will be available beginning October 5, 2015.